As an avid reader of all things beauty (it’s not just my job…it’s my passion), I hear every week of a magical new skincare ingredient that’s going to transform my skin. These days, it’s often an oil with an exotic name that is derived from a rare flower that only grows in South American rain forests. Or something like that. It’s dubbed a “game-changer” and we beauty writes lose our collective minds until the next game-changer comes along. All this hullabaloo has really made me appreciate the skin care stalwarts—those ingredients that have been around for a while, aren’t going anywhere and, most importantly, do what they’re supposed to do. Hyaluronic acid is one such ingredient. If you’ve used hyaluronic acid products, and/or had HA fillers, I’m sure it comes as no surprise that this molecule is so popular (The New York Times just wrote a feature about it). Though HA is a naturally occurring “cushion” throughout the human body (from your eyeballs to your toe joints), its skin benefits that make it an anti-aging all-star. It has a greater capacity to hold moisture than any other natural or synthetic polymer. In fact, one gram of hyaluronic acid is able to hold up to six liters of water! This is significant in regard to aging because one of the hallmarks of youthful skin is its moisture content…think plump, taut and dewy. As we age, our skin loses moisture, resulting in a loss of firmness, luminosity and pliability. Because of its unique ability to hold in so much moisture, hyaluronic acid plays a critical role in overall skin health. As hyaluronic acid boosts the skin’s ability to retain moisture, it also strengthens its barrier—or outer layers. 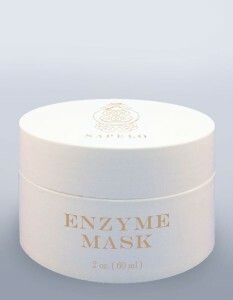 A sturdy skin barrier looks and feels plumper, softer and smoother—all characteristic of young skin. Now that you know why HA is such a popular skin care ingredient, are you ready to get your hyaluronan on? Here are some of our favorite products that contain this all-star ingredient. Emma Hardie Midas Touch Face Serum & Amazing Face Age Support Treatment Cream – Emma Hardie is an ingredient queen. From algae extract to avocado peptides, if Emma included it, it works. Institut Esthederm E.V.E. Serum Source – The hyaluronic acid in this best-selling serum will help reverse signs of sun damage and aging. B. Kamins Laboratories BB Cream – Provides sheer, luminous coverage with a light tint, moisturizing agents and light-reflecting particles. It also fights damage caused by UV, stress and aging, corrects inconsistencies in skin texture and targets sagging, dullness and wrinkles. Lavido Alert Eye Cream – Our best-selling eye cream is clinically proven to show significant improvement in skin hydration, elasticity, texture, and firmness. It brightens, moisturizes and relieves puffiness around the eye area, while diminishing the appearance of fine lines and wrinkles. Mio Skincare Get Waisted Sculpted Body Shaper – This dream cream tightens, tones and boosts elasticity. Medical-grade caffeine enhances circulation to invigorate tired and puffy skin for a more firm and contoured appearance while hyaluronic acid hydrates to impart a healthy glow. For Hair – Yes Hair! Caretrico After Treat Enrich Milk - If you color treat, or even frequently blow dry, your hair, you know how easy it is to dry out strands. This genius styling product brings the moisture-adding benefits of hyaluronic acid to your stressed tresses. It also has the most subtle of rose scents that is downright divine.